The quietest moments in our home is when my children are fast asleep and dreaming away. Most of the time after they go to bed I enjoy a little bit of quiet time to myself before calling it quits for the day. Every night before I go to bed I quietly peak in and check on my children, there is just something so peaceful about sleeping kids! It's important for my children to get a good night's sleep, I want nothing more than for my son to rest easy at night and that's why I chose GoodNites® Bedtime Pants for him! Bedwetting is pretty common with young kids, one out of six 4-12 year olds wets the bed but it's not something to be ashamed of. As parents it's important that we stay positive and encourage our children that everything will be just fine. Confidence can be very sensitive for young children. GoodNites® is here to support your child and they make it easy for you and your child to manage nighttime wetting together at home with comfort and confidence! GoodNites® Bedtime Pants was the perfect solution to help my son gain the confidence he needed to rest easy tonight and every night! Disposable GoodNites® Bedtime Pants set the stage for a peaceful night's sleep for children with a five layer protection. 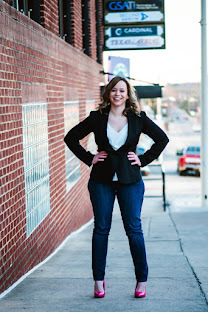 They are the #1 Nighttime Protection Brand and are more absorbent vs the leading training pant. GoodNites® Bedtime Pants feature super stretchy sides to fit many body shapes and sizes, they offer protection where boys or girls need it most, they are odor absorbing and have outstanding pajama protection plus they feature designs that your child will love! My son doesn't mind wearing GoodNites® Bedtime Pants, they look and fit like real underwear and feature a 5-layer protection, plus extra absorbency where boys need it most. They are designed to protect from leaks in any sleep position and are made with a quiet, soft fabric for a restful night's sleep. My Big Guy picked out a cool design like Marvel's Iron Man in (S/M) but they also have camo print and skateboards in (L/XL) and for girls they have Disney's Cinderella in (S/M) or hearts and butterflies in (L/XL). We have a CVS on the route to my son's school, so I stopped in the other morning to pick up some special treats for his teachers for the end of the year. 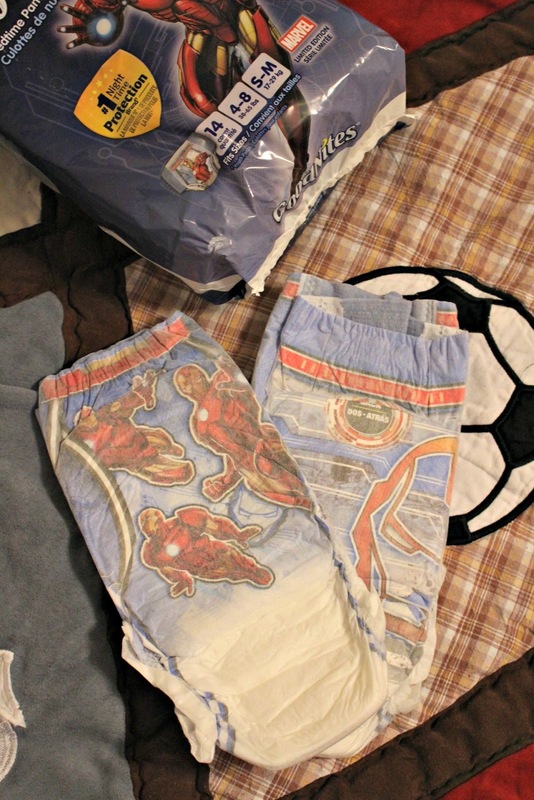 While I was in there, I grabbed a package of GoodNites® Bedtime Pants in Marvel's Iron Man in the (S/M) - I knew they would be perfect for Big Brother C! I have a great bedtime routine for my children, it takes just a few steps for them to get ready for bed. I typically try to limit a lot of water or juice before bedtime - this means after 7pm, they can't have a tall glass of juice, if they'd like a sip or two of water that is fine but they usually get a full glass of milk with dinner so a lot right before bedtime isn't necessary. Both of my children get to pick out a book or two to read before bedtime - this is a great way to help wind everyone down and get into relaxation mode. 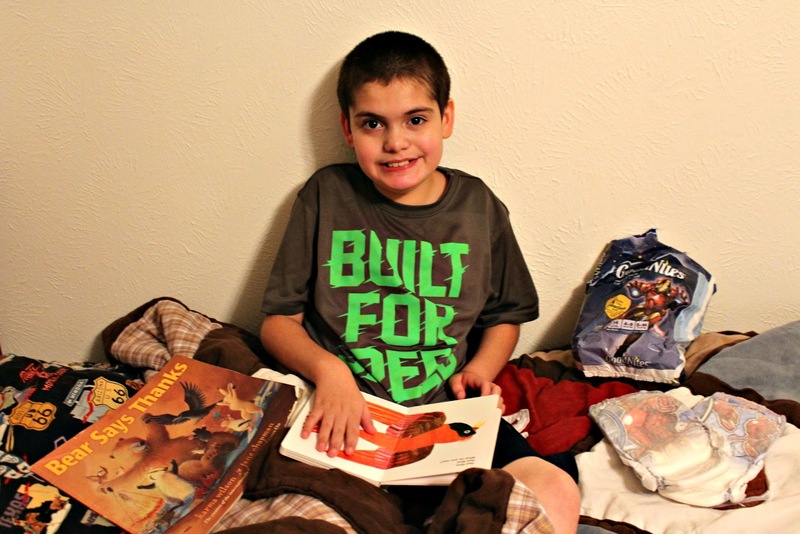 Don't be afraid to snuggle up next to your kids, mine love it when I climb into bed with them to read every night! The last step of our bedtime routine is going to the bathroom, I encourage everyone to use the bathroom (or at least try to go) before we all climb into bed. My kids have direct access to their bathroom which helps a lot, but sometimes my son just needs a little bit more help with keeping his favorite pajamas and sheets dry. 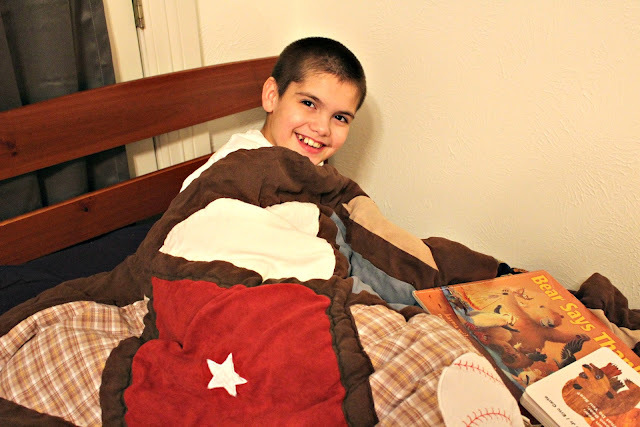 I'm happy to help him with GoodNites® Bedtime Pants because I want him to be happy and get plenty of rest at night. 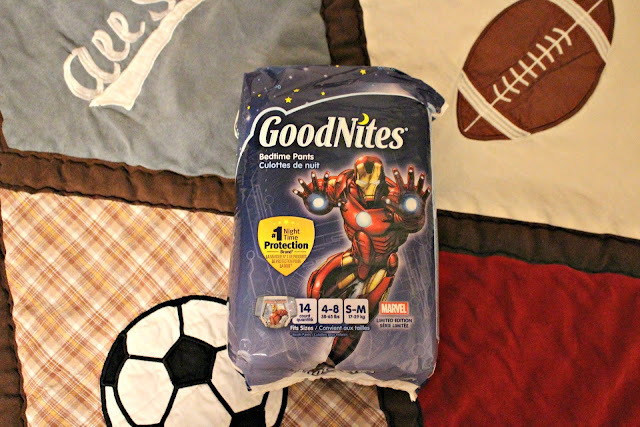 Do you have a child in your home that could use GoodNites® Bedtime Pants to rest easy tonight? For more tips and tricks, stay connected with GoodNites® on Facebook and Twitter!